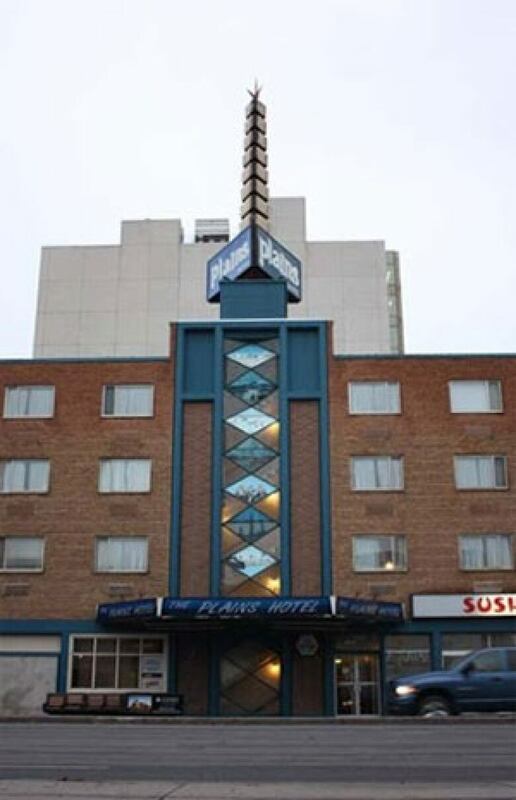 A distinctive element of the old Regina's Plains Hotel, a sign which popped up on Kijiji, will become a part of a new development at the site. In decades past, it was known as the weather tower, because the illuminated sign was programmed to display different colours depending on the weather. 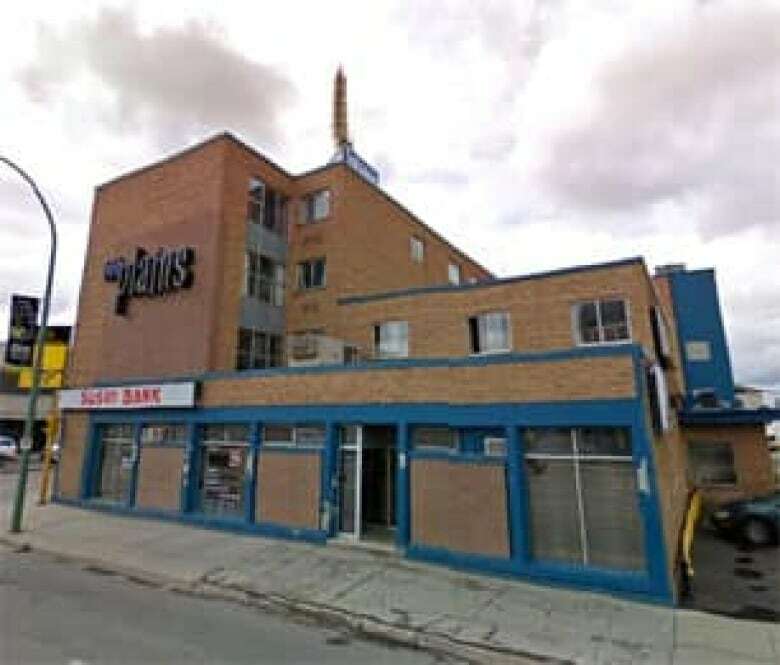 The Plains, located at the key intersection of Albert Street and Victoria Avenue, was demolished in 2011. The sign was put into storage on the roof of a Regina sign company. The original developers had said they would be incorporating the sign into a hotel and condo complex that was planned for the site. But since then, the housing project has stalled and another company has taken it over. 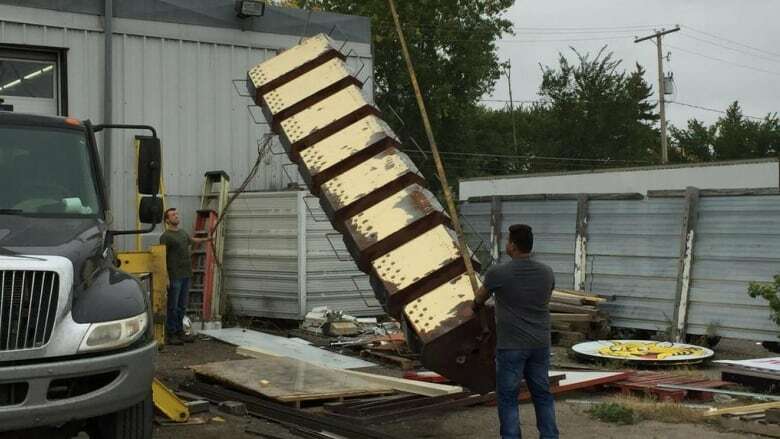 While all that was going on, the company that has the sign — Prairie Sign — was ready to sell the sign and an advertisement popped up on Kijiji. 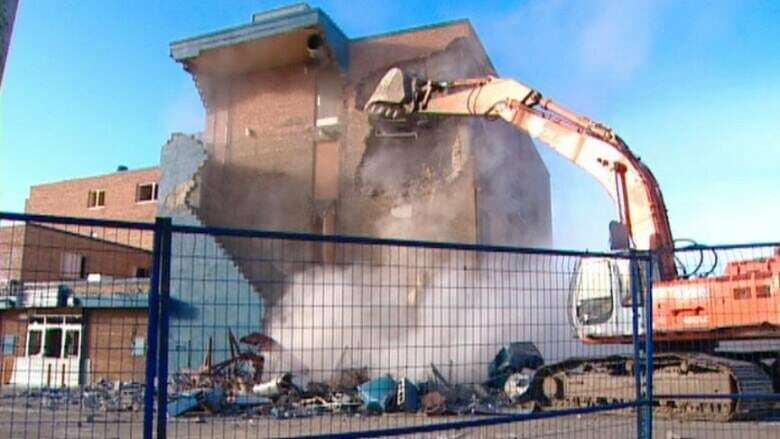 After being contacted by CBC News, however, Prairie Sign said they are OK with hanging onto the sign for a time longer adding that the sign will, in time, become a part of the new development for the site.